‪#‎MAVEN‬’s Suprathermal and Thermal Ion Composition (STATIC) instrument is measuring the composition and energy of ions as the spacecraft passes through various layers of Mars’ upper atmosphere. 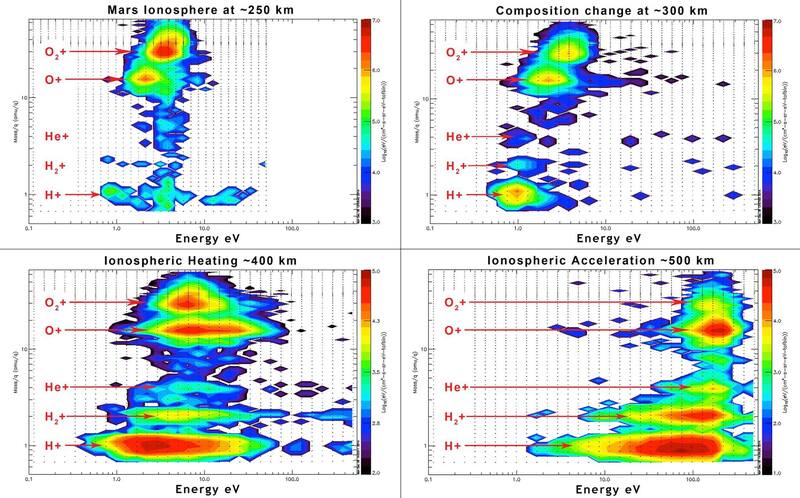 The series of graphs presented here shows the composition and energy of ions as the MAVEN spacecraft moved from low (~250 km) to higher (~500 km) altitudes. At the higher altitudes, the ions have been accelerated, as indicated by their higher energy. We are seeing the acceleration from low-energy to higher energy as the ions are driven to escape speeds. 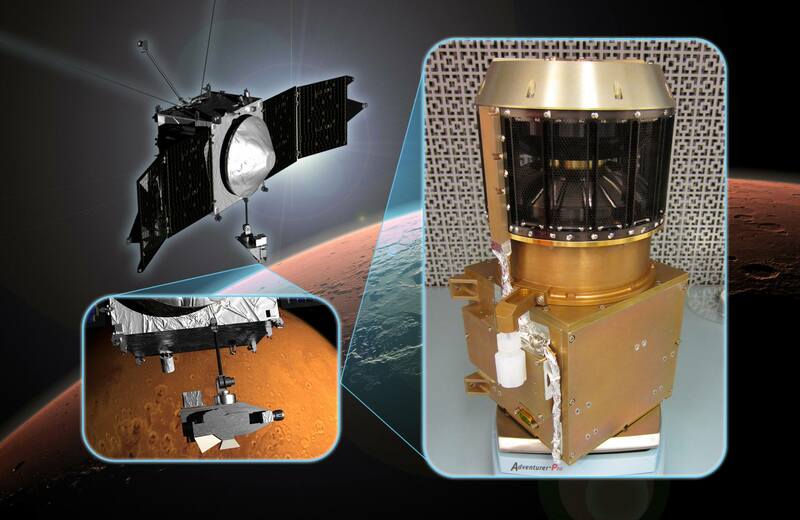 For all the latest released results from the #MAVEN mission.